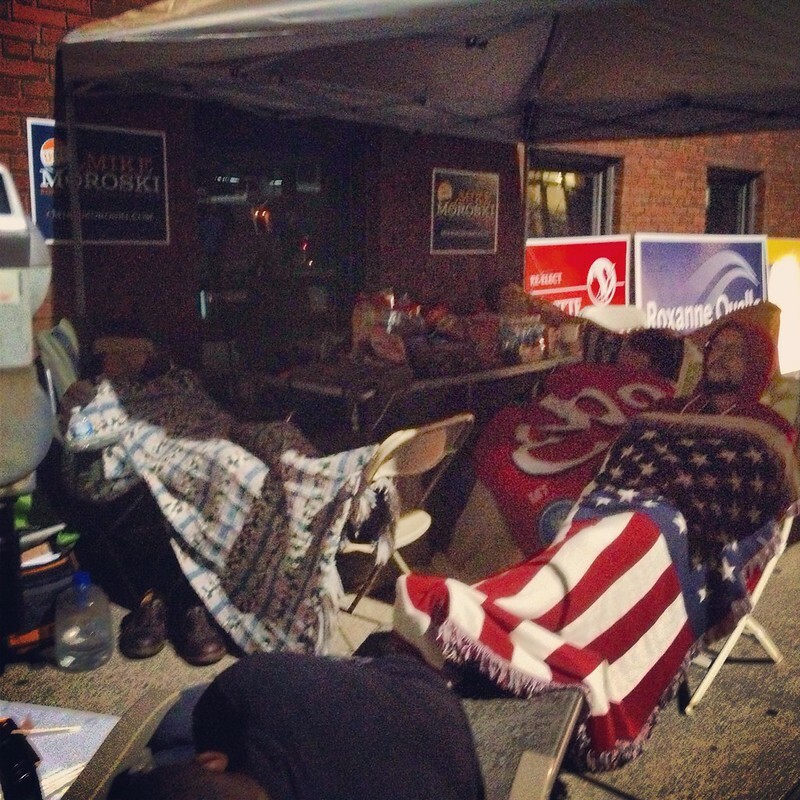 The evening before the first day of early voting for the November 5th Election, Cincinnati City Council Candidates grabbed their blankets and spent the night camping out in front of the Board of Elections, Downtown at 9th and Broadway. 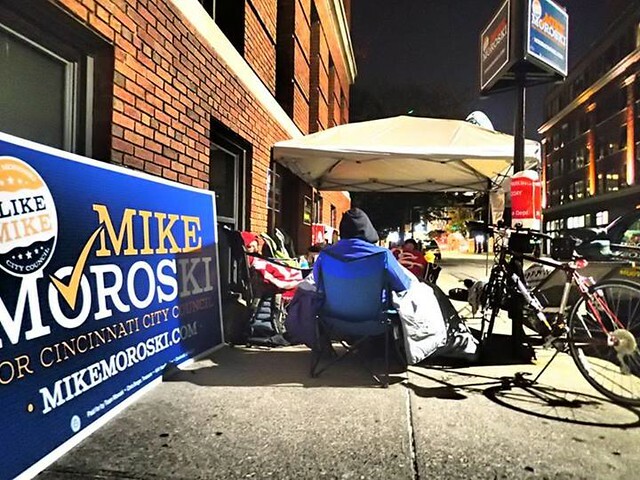 The event was coordinated by first-time candidate Mike Moroski, with his team providing snacks, a tent, and even a reclining lawn chair. In addition to a smorgasboard of snacks, campers enjoyed pizza from Cafe Italia and coffee from the 24-hour Starbucks, both inside the nearby casino. On Broadway, a drinkery across the street, provided restroom access through the middle of the night. 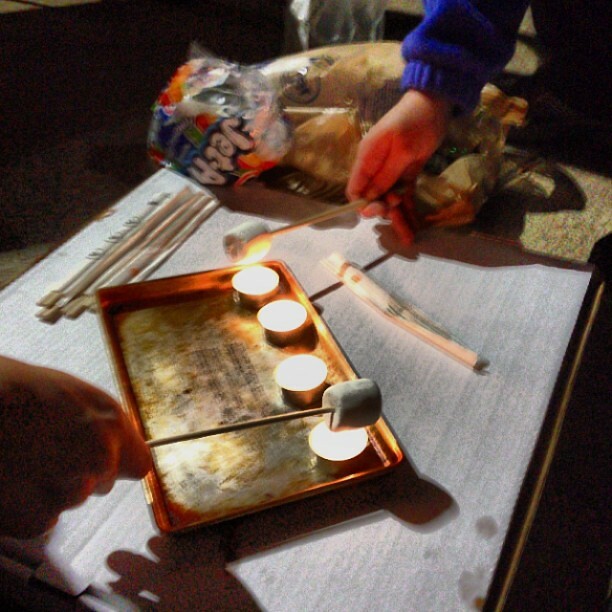 Of course, there were many other alternative camping traditions, such as roasting s'mores by candlelight and closing with a bedtime story about the legendary 1855 Mayoral Election in Cincinnati. 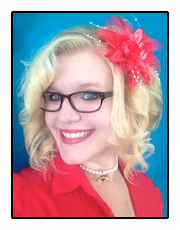 Citizens and other candidates stopped by throughout the night, which started at 10:00PM. Most of the activity, of course, was early on with most staying for a few hours and departing around midnight. 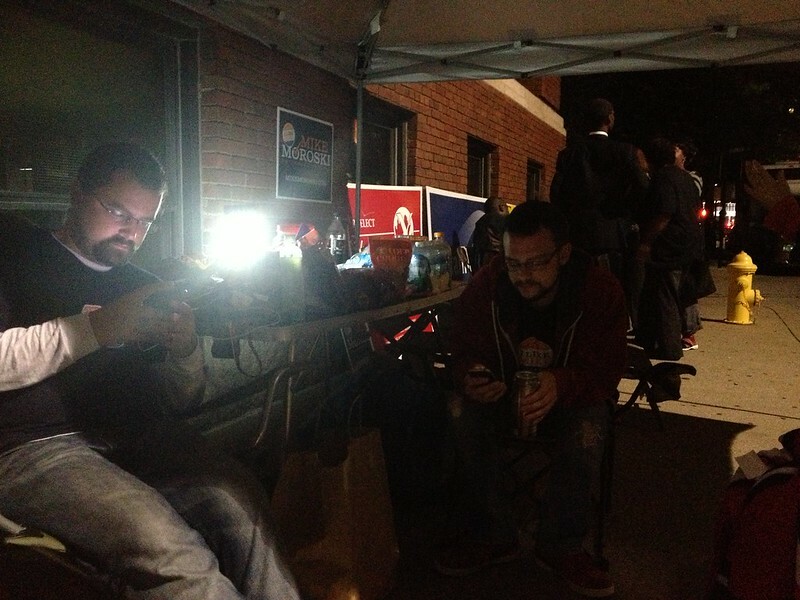 Many settled in to stay longer, heading home around 3:00AM to rest before work. 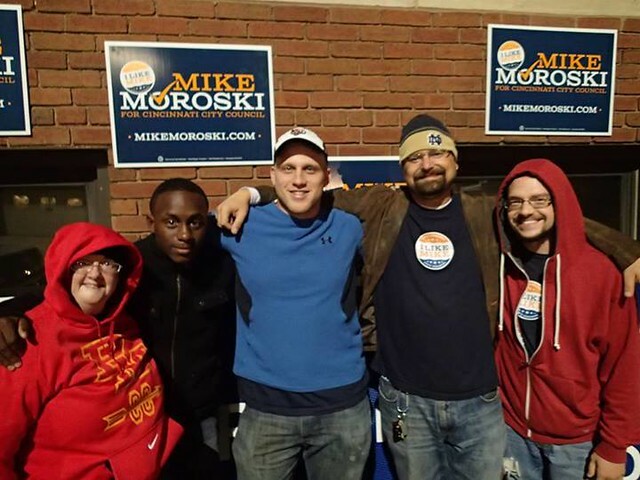 Come sunrise, Moroski and six of his friends remained, lining up first to cast their ballots.